I can’t believe its December already!!!! This months Glossybox is the last Glossybox of 2015!!! Every year since I have been subscribed to Glossybox, December boxes have always been full of great products. This months box design is my favourite Glossybox design of 2015. The box is a shinny rose gold colour with white dots on, which I think is meant to look like snow. What was your favourite Glossybox of 2015??? This month I received four full size products & two sample size products. I’m really pleased with the December Glossybox & can’t wait for the first box of 2016!!!! If you didn’t know Glossybox is a monthly subscription service. Which costs £10 a month plus £3.25 p&p. You can cancel your subscription at any time. If you do the reviews each month on your Glossybox account you can earn points which you can save up to redeem a free Glossybox. Here is my invite link http://www.glossybox.co.uk/referal?CI=MTAxMjg0. Check out the Glossybox website for more information https://www.glossybox.co.uk. Everyone must know by now that I’m a massive nail polish addict!!! I was really happy to see a full size nail polish in December’s Glossybox. I have had a Cheeky nail polish in a beauty subscription box before. I think Cheeky nail polish is great!!! I got a gorgeous bubble gum pastel pink colour & It looks so pretty. The colour I got is called ‘Candy Shop’. 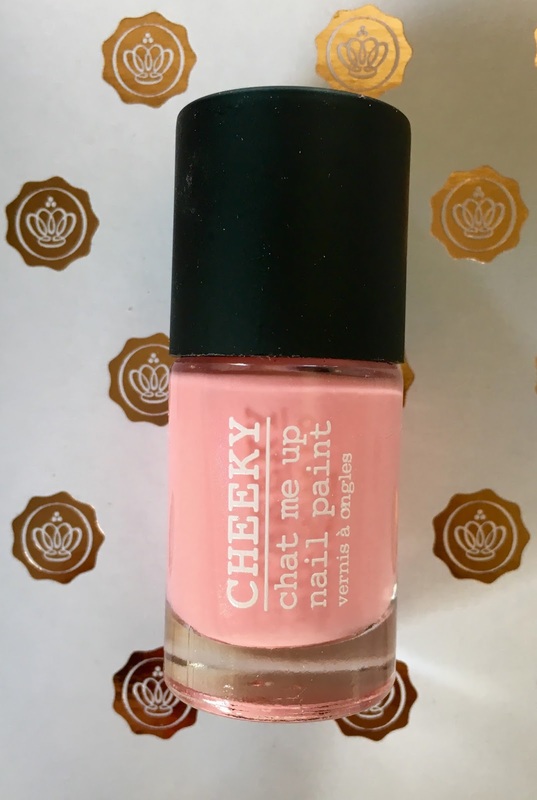 At the moment Cheeky are doing a 3 for £10 on nail polishes, so check out the cheeky website http://www.urcheeky.com/nails. I have never tried Essence lip glosses before, I have tried Essence nail polish though. I have only recently discovered the brand Essence when I found they sold it my local Wilkinsons. I hope I get to try out more products from Essence in the New Year. The lip gloss colour I got is called ‘Show off’. The lip gloss is a perfect colour for the party season. The lipgloss isn’t sticky on your lips, but I would recommend to only apply a thin layer on your lips. The best thing about the brand Essence is that all the products are sold at a great price. The brand Essence is definitely a purse friendly brand. Check out the Essence website http://www.essence.eu/uk/home/. This year I have tried out a lot of So Susan products. I LOVE the brand!!! The packaging is always gorgeous, The products are always fantastic & the best part is the products are cruelty free, which means the products aren’t tested on animals. In this months Glossybox I received a highlighting crayon. The highlighting crayon is just beautiful!!! I think the highlighting crayon would be suitable for all skin tones. The highlighter is really creamy & lasts all day leaving your skin looking healthy & natural. A full size highlighting crayon costs £15. 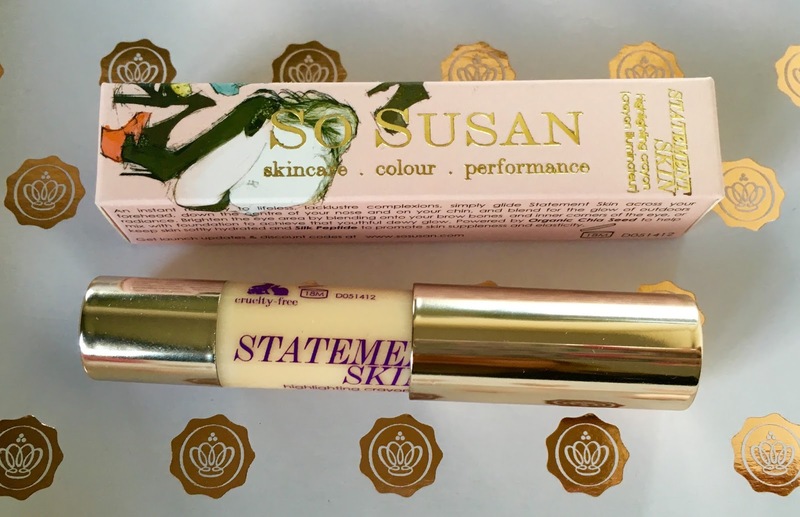 Check out So Susan’s website http://sosusan.com/en/complexion/86-statement-skin.html?search_query=statement+skin&results=4. I am currently using a Nip & Fab eye roll on which I think is great, so I can’t wait to see if Etre Belle eye roll on compares. Etre Belle eye roll on claims to have a “Highly effective skin firming active ingredient” which “instantly smoothes, relaxes and refreshes tired skin around the eyes.” I can’t wait to try the Golden skin eye roll on once my Nip & Fab eye roll on runs out. I can’t currently find a link to a website to buy the Golden skin eye roll on, but if I do I will add it on to my blogpost. 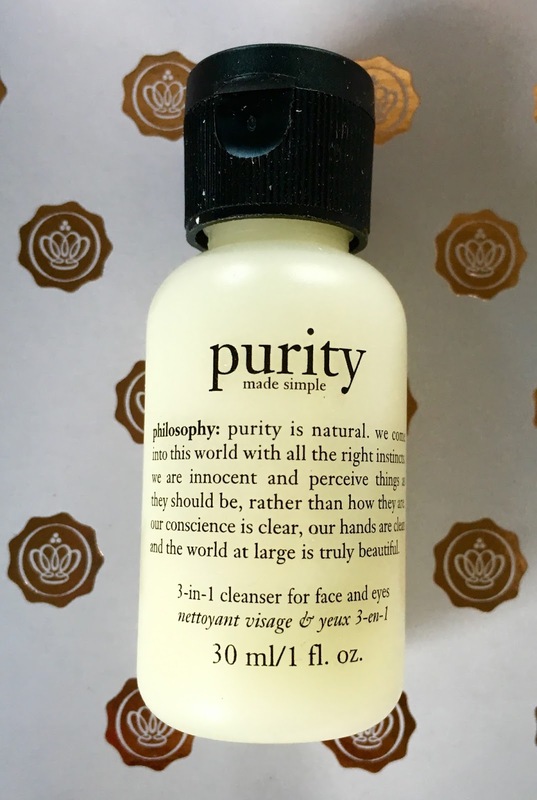 I love the sample size Philosophy Purity 3 in 1 cleanser. The 3 in 1 cleanser is a perfect travel size product. I think I’m going to save the product & keep it for my travel bag. Its the perfect size if I go on Holiday or if I’m staying somewhere overnight. The 3 in 1 Philosophy cleanser is for your face and eyes & is a daily cleanser which is gentle on your skin. The Purity cleanser deeply cleanses, tones & melts away face & eye make-up . The cleanser is suitable for all skin types even sensitive skin!!! A full size costs £28.50. Check out the Philosophy website for some amazing skin care products http://www.philosophyskincare.co.uk. This year I have seen a lot of girls on YouTube & Instagram trying out the sheet mask trend. Loads of girls having been raving about sheet facial masks. I have given this product to my Mum to try out. As I’m to scared to try out sheet facial masks. 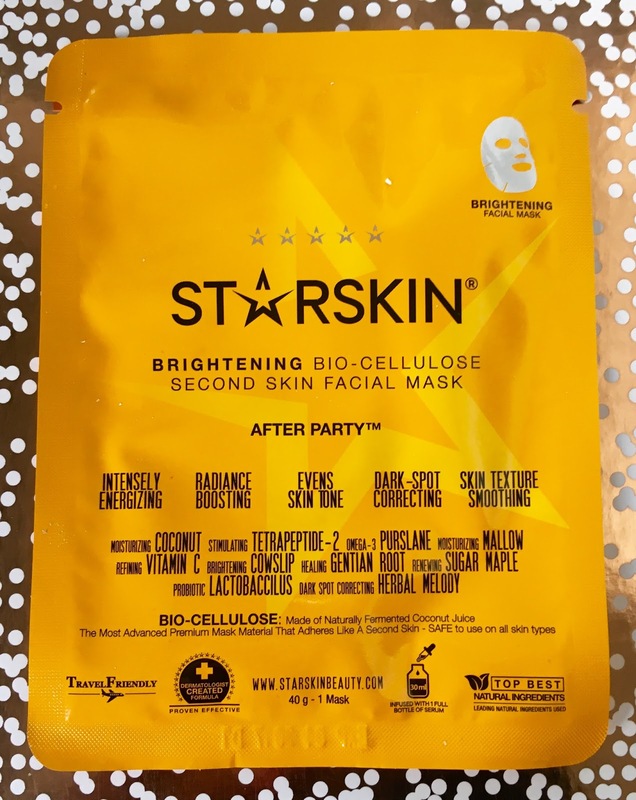 Star Skin ‘After Party’ facial mask claims to “Energises and recharges visibly dull, tired & lackluster skin. Minimises dark spots & evens skin tone. Delivers results in 20 minutes.” Star Skin also recommends that you refrigerate the unopened sachet for 10 minutes before you use the mask. Check out Star Skins website for more information about facial sheet masks http://www.starskinbeauty.com/#!brightening-face-mask/cr3g. You can buy Star Skin facial masks from ASOS http://www.asos.com/search/starskin?q=starskin. Are you thinking about taking out a Glossybox subscription in 2016??? If your already a Glossybox subscriber what was your favourite product in Decembers Glossybox??? I really can’t believe this is the last Glossybox of 2015!!! This year has gone so fast!!!! I would love it if you could follow me on all my social media (links are below).